The “badly decomposed body” of a young woman who had physical and mental health issues was discovered in her home three months after her last recorded contact with the authorities. 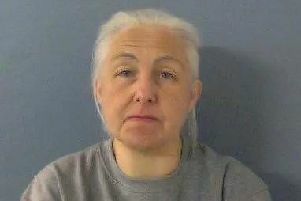 An investigation by Buckinghamshire’s Adult Safeguarding Board in to the death of the 34-year-old concluded she “fell into a void” due to a lack of communication between agencies involved in her case. Bucks NHS Health Trust Bucks County Council were provided with a series of recommendations following the probe in a bid to improve services in wake of the tragic case – with an action plan set to be presented to the board in December this year. The woman – named only as Ms T in the report – is believed to have lived alone in social housing in the county, and was not in regular contact with her family. A friend made several attempts to visit Ms T in the three months leading up to February 2016, and contacted the authorities after she noticed a “strong smell” coming from the flat. Police then forced their way into Ms T’s home and discovered her body in an “advanced state of decomposition” on February 23. Officers confirmed there were no suspicious circumstances at the scene, however the coroner was unable to establish an exact cause of death as the decay was so advanced. According to council reports Ms T had been known to Bucks’ mental health services for “several years”, after being diagnosed with paranoid schizophrenia in 2011. She was later discovered to be suffering with type two diabetes which was “poorly controlled”, and there were also concerns she may have had issues with her central nervous system. Ms T had contact with the mental health early intervention scheme, BCC’s safeguarding adult services, her GP and housing association at various points from October 2014 to November 2015. However writing in the board report, independent social care consultant, Robert Lake, said there were few examples of “multi-agency sharing” throughout the case. In October 2015 police were asked to visit Ms T’s home, as her friend had told the authorities she had not seen her in weeks. Police managed to speak to Ms T, however noticed an “overpowering smell” coming from the “untidy” flat, as well as a lack of food, prompting them to alert the council and housing provider. Ms T then had contact with the council, mental health service and her GP up until November 23 2015, when she was seen by the social housing provider – the last contact she had with a public agency. The report stated that if a formal safeguarding concern had been raised in October or November 2015 then “there could well have been a very different outcome”. The investigation found the ongoing monitoring of Ms T “fell into a void” after her case was referred back to her GP in late November 2015 by the adult mental health team. Writing in the report, Mr Lake, stated: “In considering the matters before us, the Safeguarding Review Panel members and I have concluded that when no action was taken by the Adult Mental Health Team, in late November 2015; beyond referring the case back to the GP, the ongoing monitoring of Ms. T “fell into a void”. A series of recommendations were laid out to BCC’s adult safeguarding team and the mental health trust in order to improve the services. Oxford Health NHS Trust says action has been taken on all the recommendations laid out by the board, as well as its own action plan created following the publication of the report. BCC confirmed its action plan is currently being worked on and is “nearing completion”.